ANC secretary general Gwede Mantashe says that the party is unable to heed calls to recall president Jacob Zuma – and any call for him to step down is an appeal to his conscience: he must voluntarily quit the position. 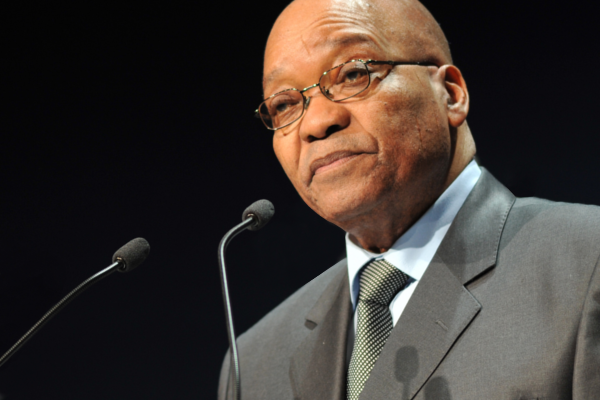 This follows calls from Cosatu’s largest affiliate union, Nehawu, for the president to be removed from his position, as it has become untenable. National director of public prosecutions Shaun Abrahams insists that he is not ‘politically captured’, and that his recent move to drop the charges against finance minister Pravin Gordhan and his co-accused at SARS was evidence of his independence. He told EWN that he is aware that he is ‘public enemy number one’ – but assured the public that at no point was he playing a political game in charging the finance minister. The Gupta-owned TNA Media group has made a bizarre move, directly emailing all members of Parliament in a bid to clear the Gupta family’s name ahead of a court battle brought by finance minister Gordhan. The email, sent to all MPs, sought to explain “suspicious” transactions made by the Gupta family – but left many confused, as the matter was with the courts, and has nothing to do with Parliament. South Africa’s dams are in big trouble, and could take as long as 5 years to return to normal levels – and that’s only if normal rain patterns returned. The country is facing a water crisis, where areas in Johannesburg and Cape Town are facing tighter water restrictions. The country has been suffering from a drought for much of the year – though a rainy season is expected between November and January. South Africa’s rand and government bonds retreated against the dollar on Tuesday as euphoria over the dropping of fraud charges against Finance Minister Pravin Gordhan faded and the ailing economy took centre stage once more. On Wednesday, the rand was trading at R13.62 to the dollar, R16.68 to the pound and R15.08 to the euro.